Khamma Ghani sa… Padharo Jodhpur!. 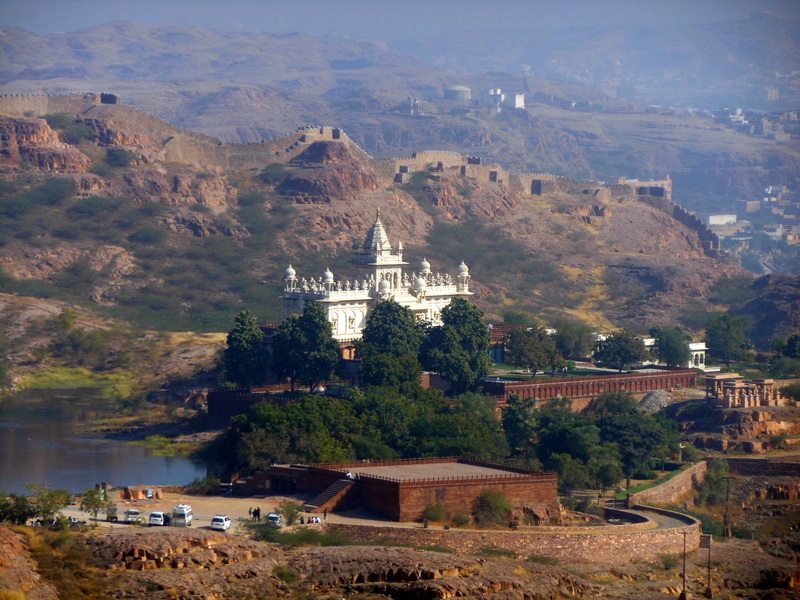 After exploring Udaipur in the Mewar region of Rajasthan, we travelled to Jodhpur, also known as Sun City or Blue City, in the Marwar region. 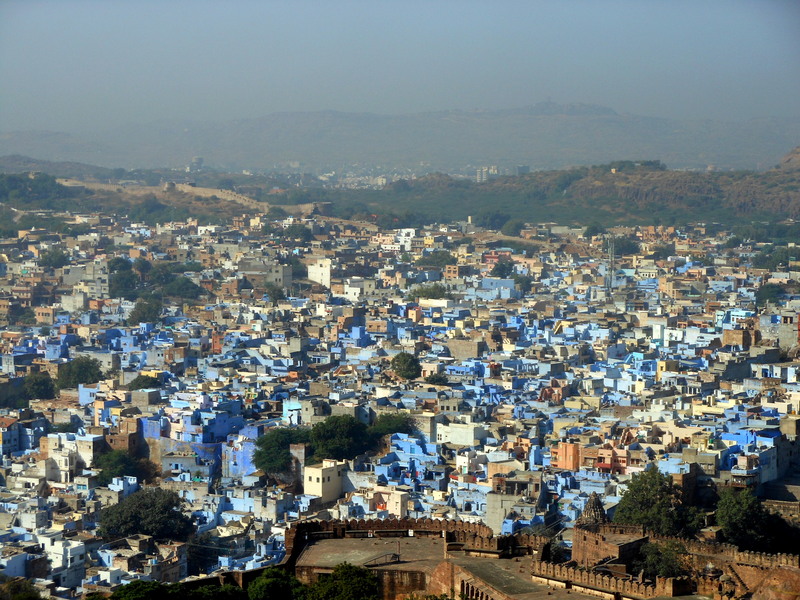 Jodhpur is called ‘Sun City’ as it is bright and sunny throughout the year and ‘Blue City’ as most houses in the old city are painted blue. 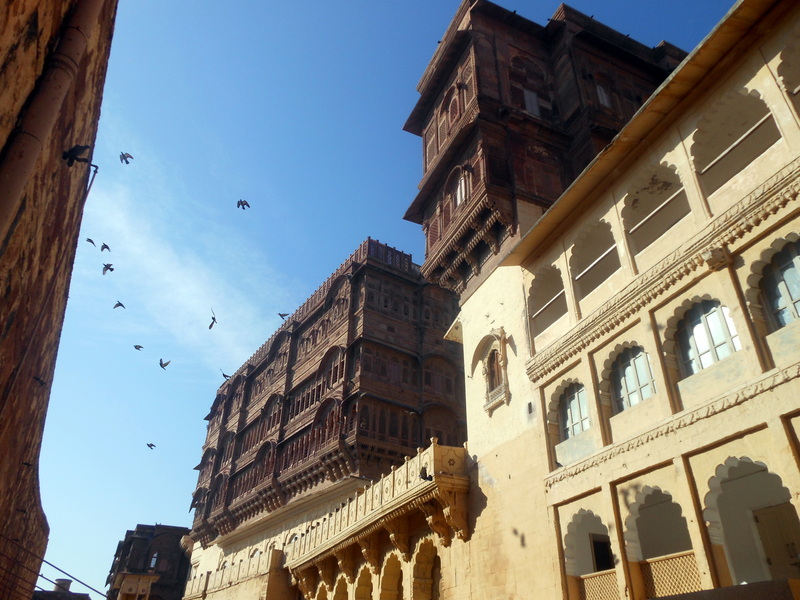 First stop was Mehrangarh Fort, situated 400 feet above the city and enclosed by thick walls. The fort has seven gates, the palm imprints on these mark the victory over Mughals. Palm imprints on one of the gates of the Fort. 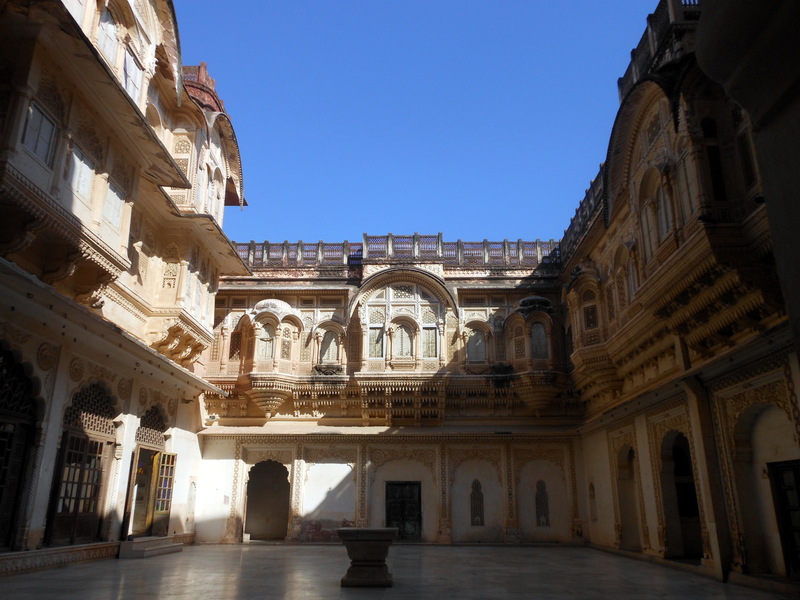 Mehrangarh Fort is a well-stocked museum with a large collection of Elephant howdahs, palanquins, armoury, paintings, turbans, and folk music instruments. The museum exhibits the heritage of Rathores and the Marwar paintings once prevalent in Rajasthan. The fort is home to a large number of pigeons. We could find their nests in every nook and corner. A part of the fort has a shopping complex where one can shop for a wide variety of paintings, books, camel leather mojaris or juttis, turbans, kurtas, jewellery, marble artifacts etc. 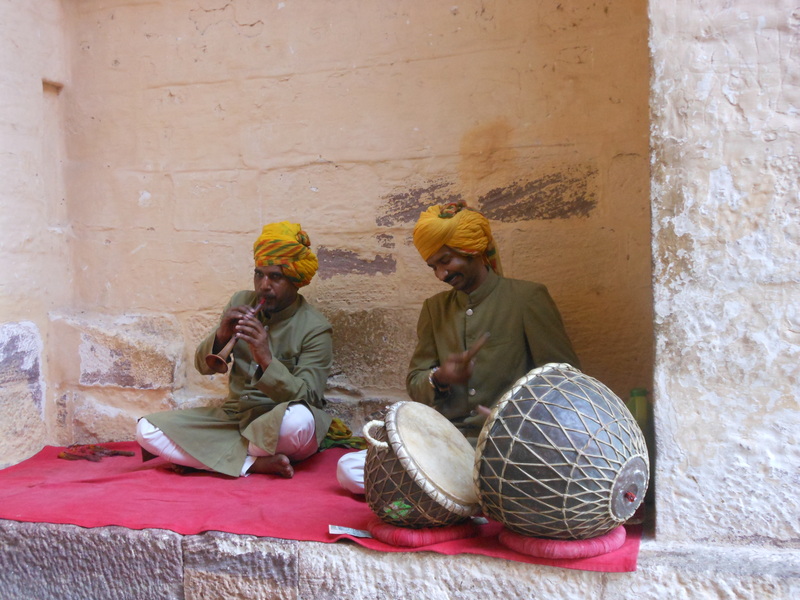 We could see folk artists exhibit their talent and entertain the tourists. 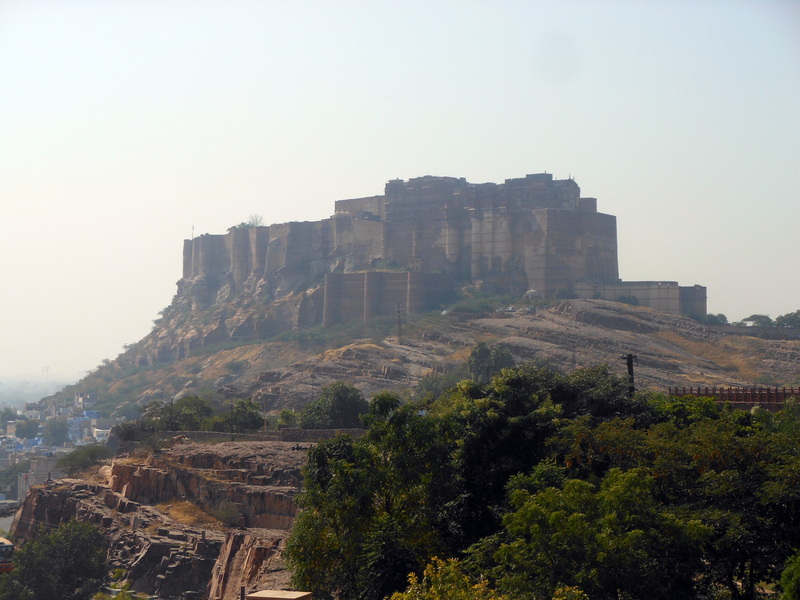 From Mehrangarh, we could see the mausoleum of Jodhpur rulers. The mausoleum is called Jaswant Thada, built by Maharaja Sardar Singh in loving memory of his father, Maharaja Jaswant Singh II. It is entirely built out of extremely thin marble and has the tomb of the Maharaja. Royal crematorium can be found around the mausoleum. Next up, we headed to see the last of the great palaces of India. Yes, you read it right. 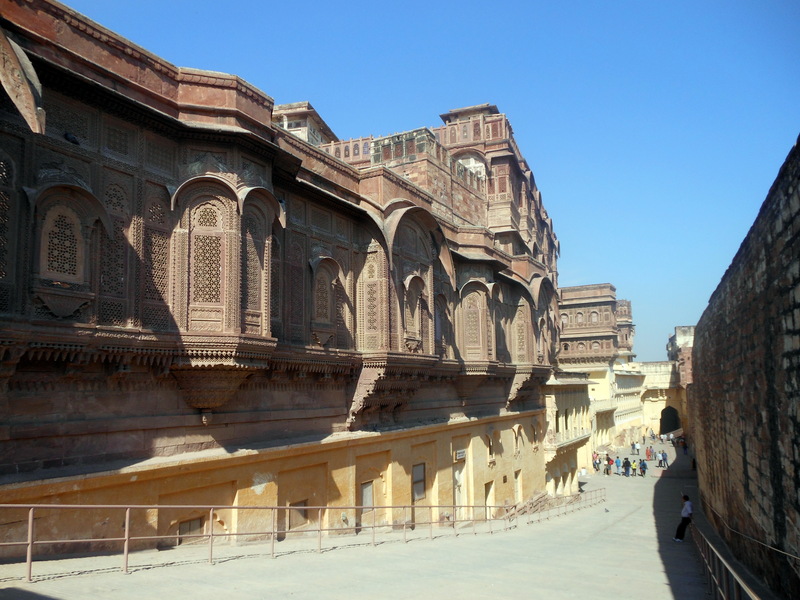 It’s the last palace ever built in India! Named after Maharaja Umaid Singh, grandfather of the present Maharaja of Jodhpur, the construction of the sandstone monument was completed in 1943. Designed by an Edwardian architect, it took 15 years to build the palace which has around 350 rooms. It gave employment to thousands of people who were paid not by cash but by food grains. 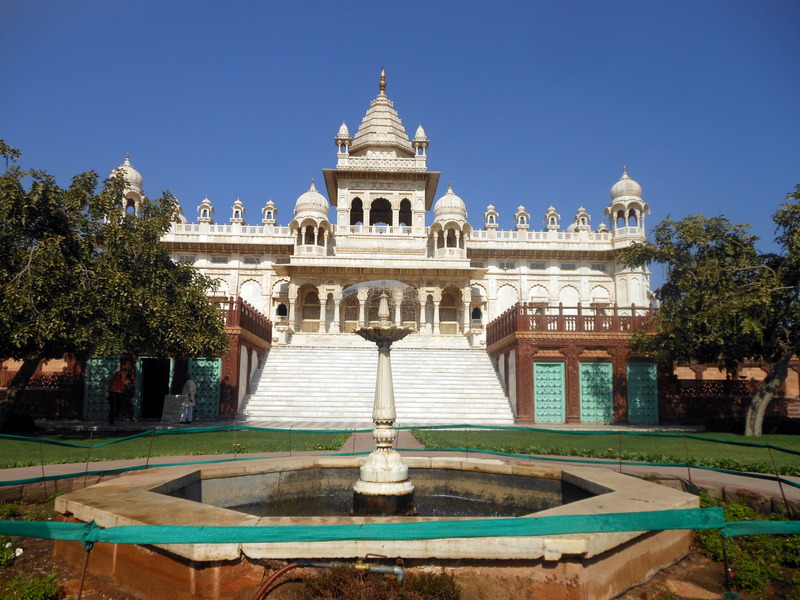 The total cost of building this palace was 1 Crore rupees. 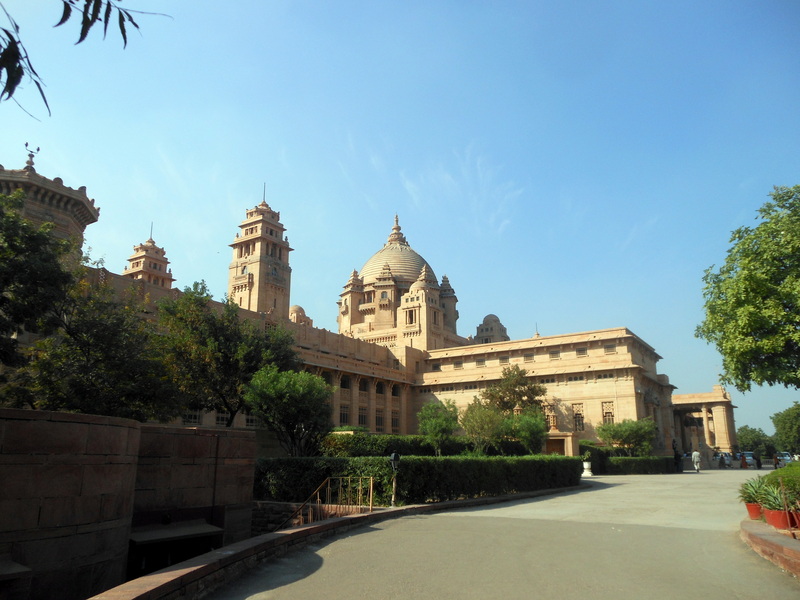 Umaid Bhavan is divided into three parts, the private residence of the royals, who have 100 rooms for themselves. 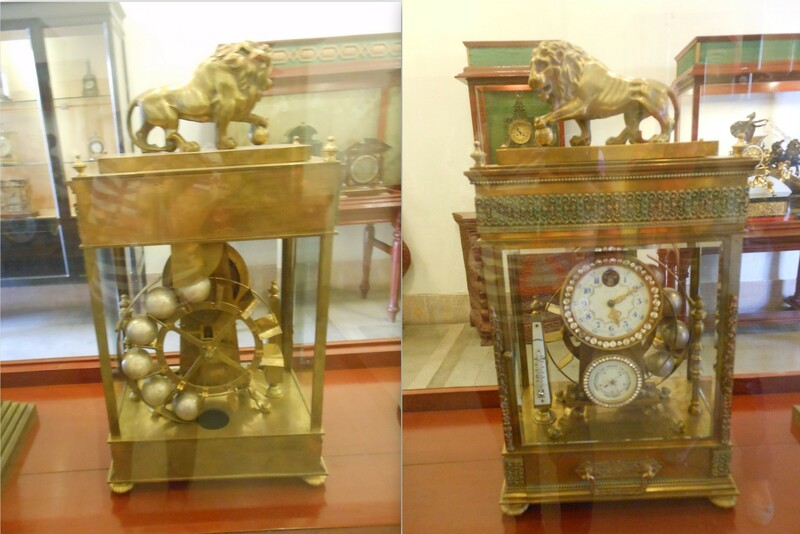 The second part is the museum open for tourists and lastly, the luxurious Taj Palace Hotel. The museum showcases the life of Maharaja Umaid Singh and the present royal family. It has many sections dedicated to various interests of the Maharaja such as antique clocks, polo, aircraft, glassware, and silverware. Being an avid aircraft pilot, the Maharaja got an airport built in Jodhpur. 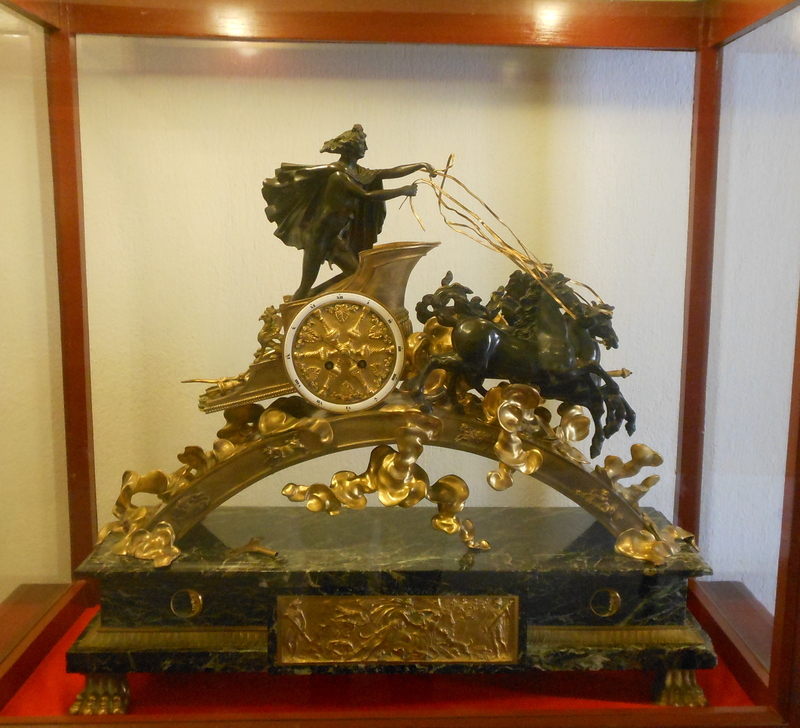 It’s evident he had a good taste for clocks, for we could see a fine collection of antique clocks brought from Germany, Scotland, etc. in all shapes and sizes. 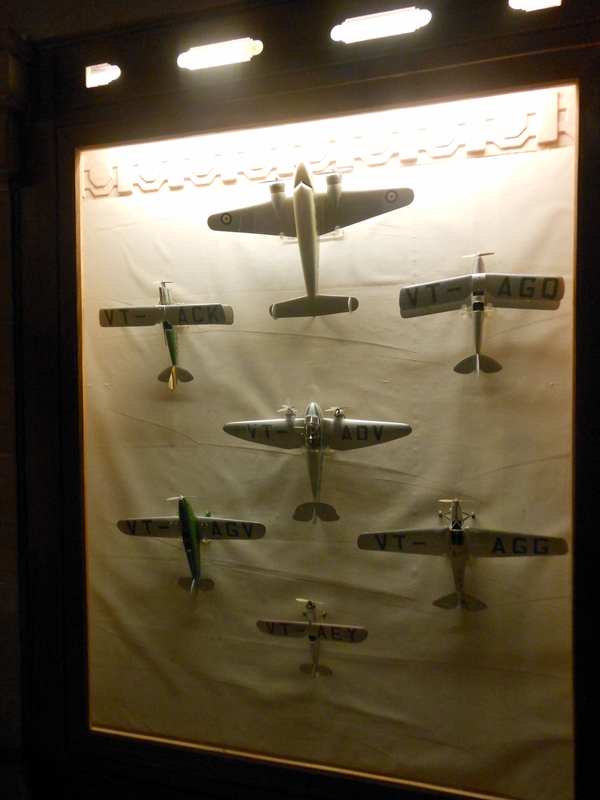 The palace also has a collection of vintage cars. 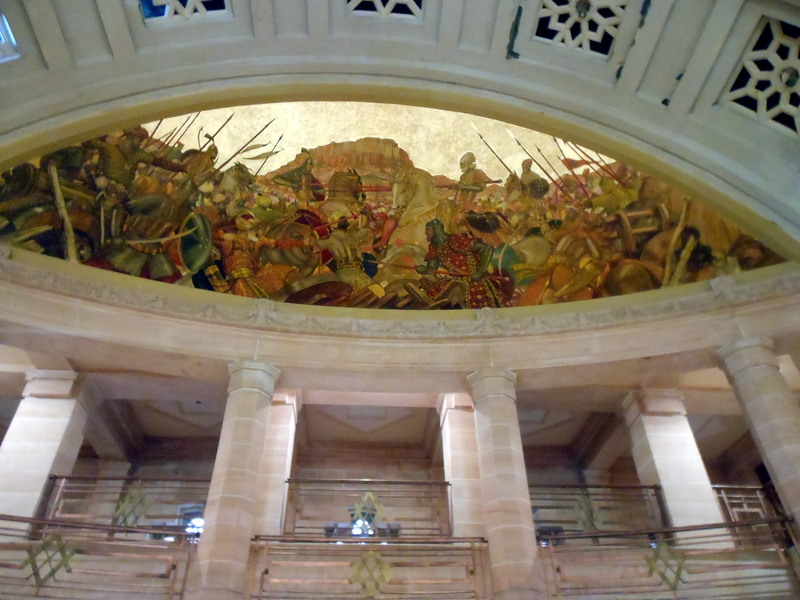 Umaid Bhavan shows us the true luxury of the Marwar state. We stopped by to treat ourselves with Kesar kulfi in the shades of the royal garden before calling it a day.